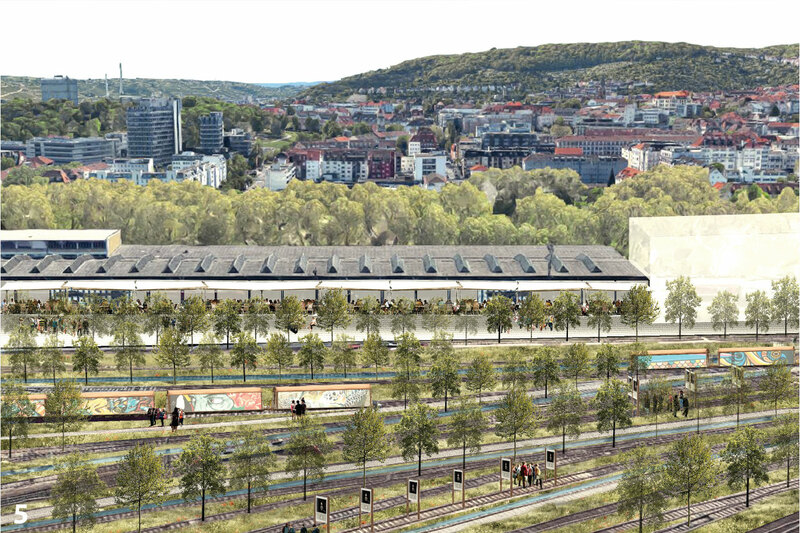 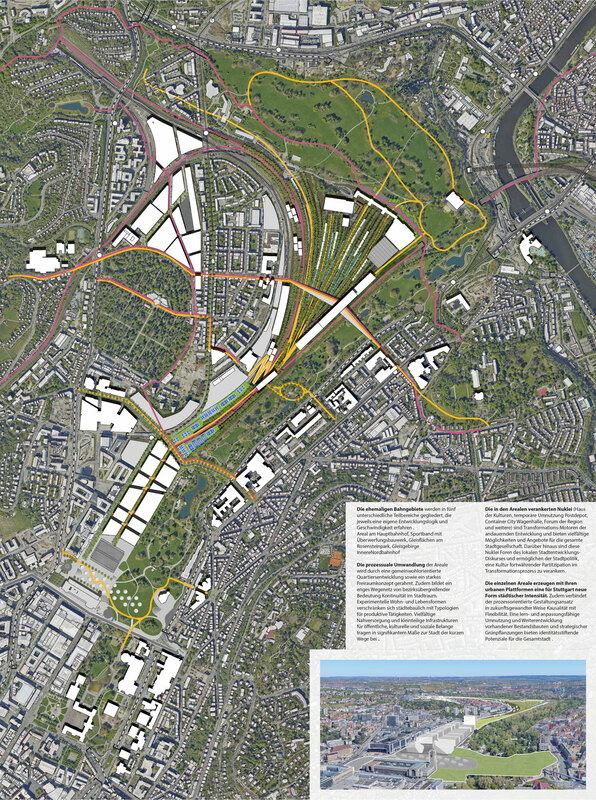 Stuttgart Urban Platforms is a strategic adaptive reuse plan for the site of the former Stuttgart Rail Depot. 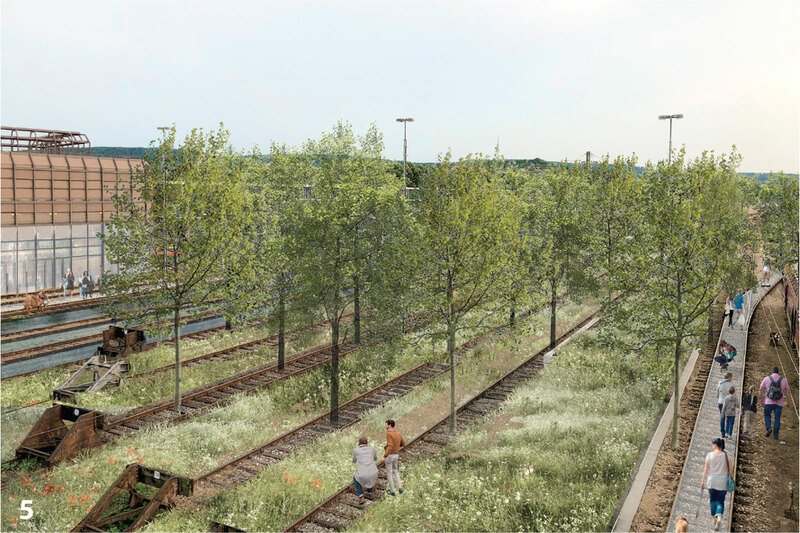 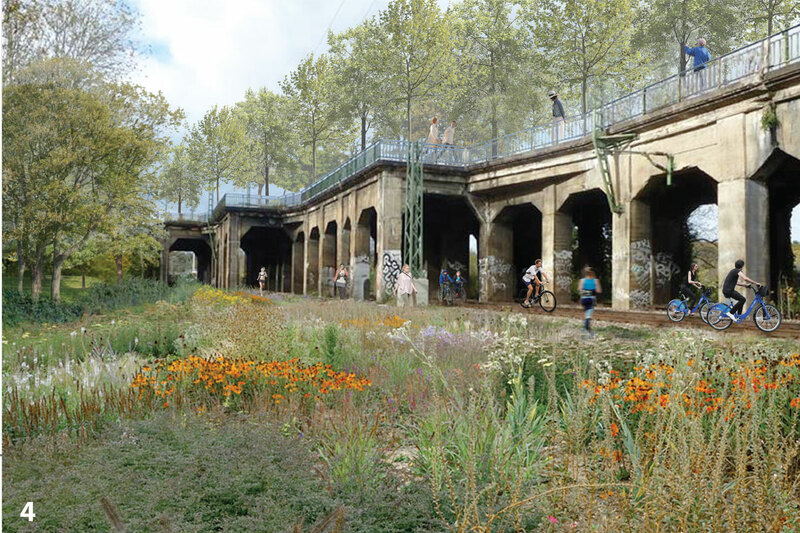 With the closing and relocation of the rail-yard as part of ‘Stuttgart21’ the regeneration of the huge swathe of land between the new terminus station and Rosenstein Park offers a unique opportunity to realign the eastern and western neighbourhoods of Unterer Schlossgarten. 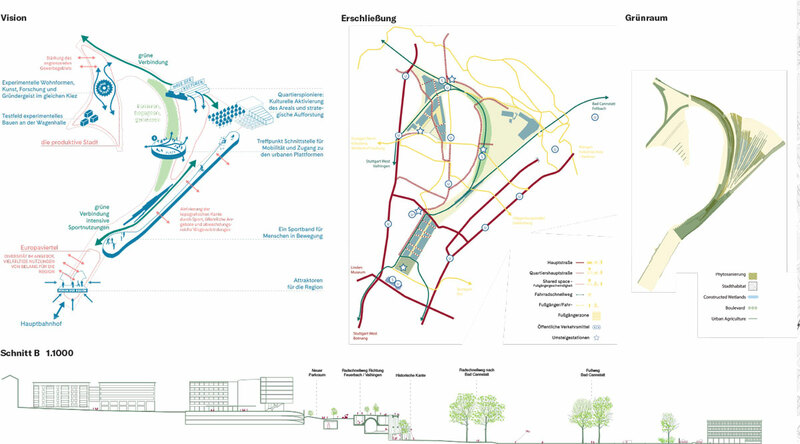 Previously given over to workshops, tracks and freight transport facilities the adaptive reuse of the landscape can achieve two key urban agendas: Reconnection and access of Stuttgart’s inner city civic assets and transformation of a defunct urban transport infrastructure into a new source of urbanity. 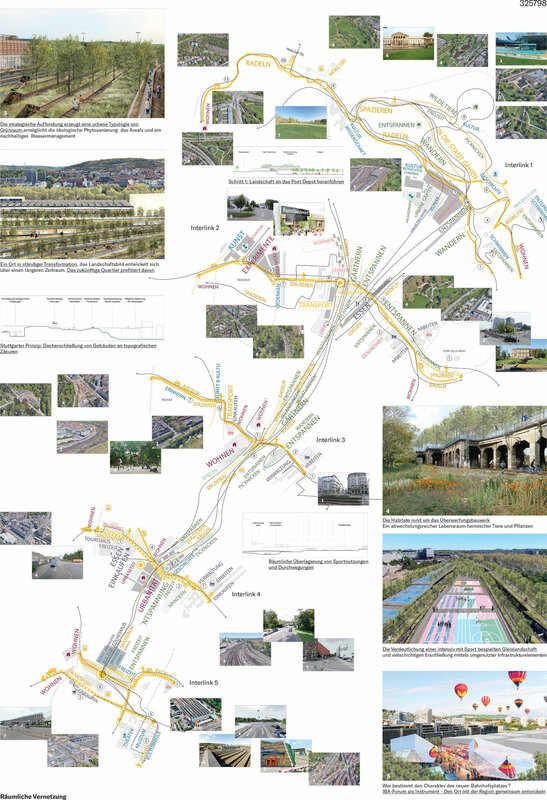 Redressing over a hundred years of obstruction and disjunction between the urban and social fabrics on the east and west sides of the tracks, the proposal introduces 3 new vehicular cross routes, and 5 new pedestrian and cycling bridges establishing a physical and conceptual continuity between east and west, stretching all the way to the River Neckar. 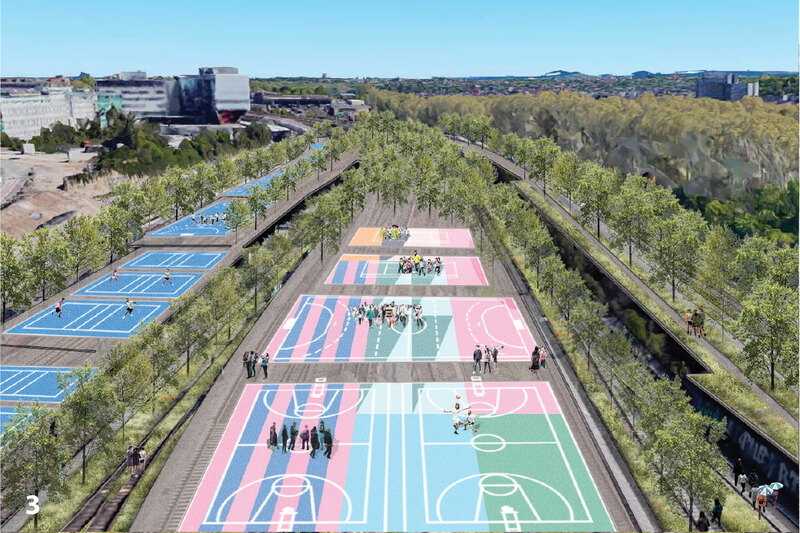 By re-pedestriating and reconnecting the historical center with the modern periphery and the geography, the plan threads existing programs coupled with new ones to afford a range of destinations and spaces to take time out, around and within the site. 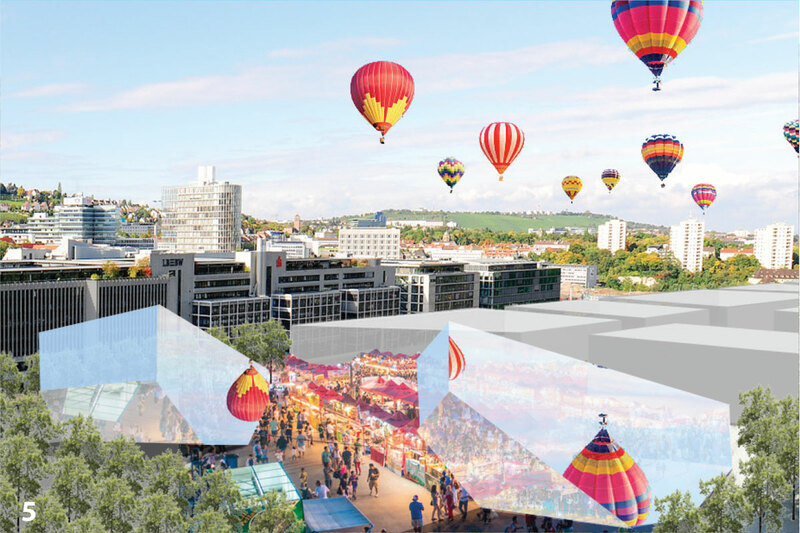 By dispensing with cost-intensive measures, existing on-site development will make ta existing assets, by means of minimal intervention, thereby keeping land prices low. 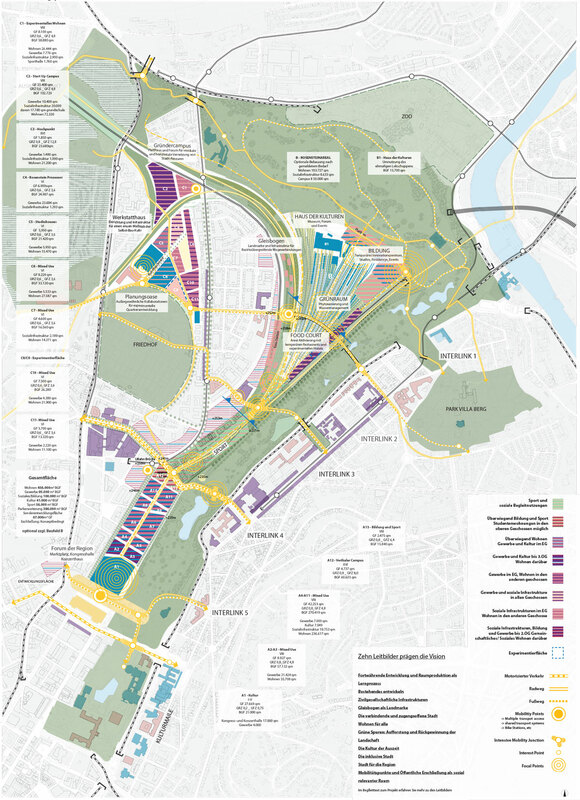 In combination with the granting of leasehold land, this allows the Stuttgart to create ample capacity for multiple living platforms including developer and social housing within and around the site.